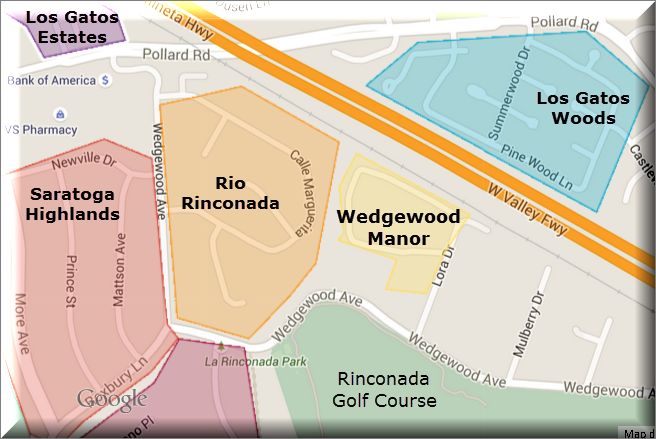 In the far northwest corner of the town of Los Gatos sits a small, picturesque community, Arroyo Rinconada (Cats Creek Corner), consisting of three streets and 41 homes: Casa Grande (Big House), Rio Visa (River View), and Sierra Linda (Beautiful Mountain Range). 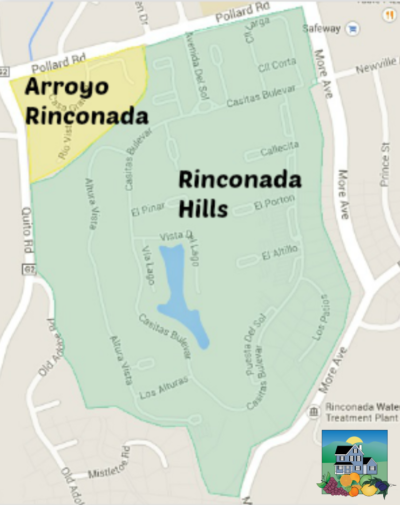 What are homes like in Arroyo Rinconada? The neighborhood features Spanish style architecture and red tiled roofs and gently curving roads with loads of nearby trees, making the area scenic and charming. In Arroyo Rinconada there are 40 townhouses and one large house, built in 1935 (and later expanded). The townhouses are held in condominium ownership (not PUD). The two story townhomes were all built in 1984, with square footage at 1280 SF (2 bed, 2 bath model), 2152 SF (3 bed 3 bath model), and 2319 SF (3 bed 3 bath model). Average square footage is 2131 SF. These homes all enjoy attached 2 car garages. Lots range 1372 SF to 2427 SF, with the average land area being 2152 square feet. The house is on Casa Grande (“Big House”). It was built in 1935 with about 2600 SF but has been expanded to 3090 SF. Sitting on top of a knoll with a 55,000 SF lot, it sold a couple of years ago for more than $2 million. Arroyo Rinconada is set next to the corner of Quito and Pollard Roads in the northeast end of the town of Los Gatos, which are the borders for Saratoga (Quito) and Campbell (Pollard). The San Tomas Aquino Creek separates it from the larger Rinconada Hills community to the east. 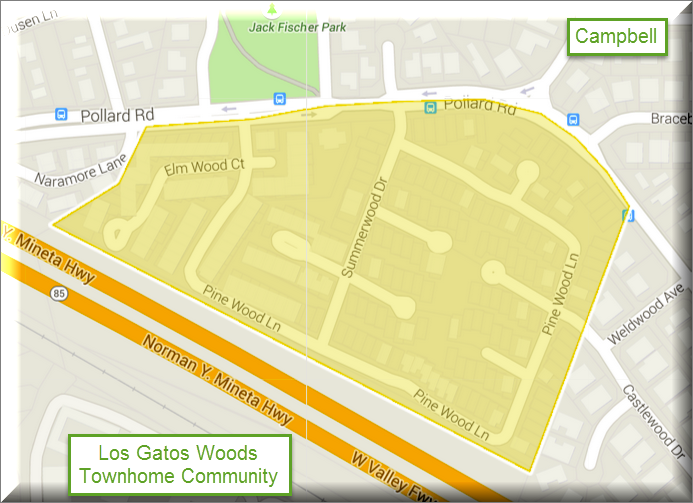 You can see a map of this area, and nearby subdivisions, on my Google MyMaps page for west Los Gatos. The community enjoys a pool with spa plus a clubhouse and tennis courts. There is a gate at the entrance along Pollard Road, but it does not appear to be in use anymore. HOA fees vary depending on the home size, but are generally around $750 to $800 per month. The monthly cost covers the private roads as well as the amenities listed above, and more. 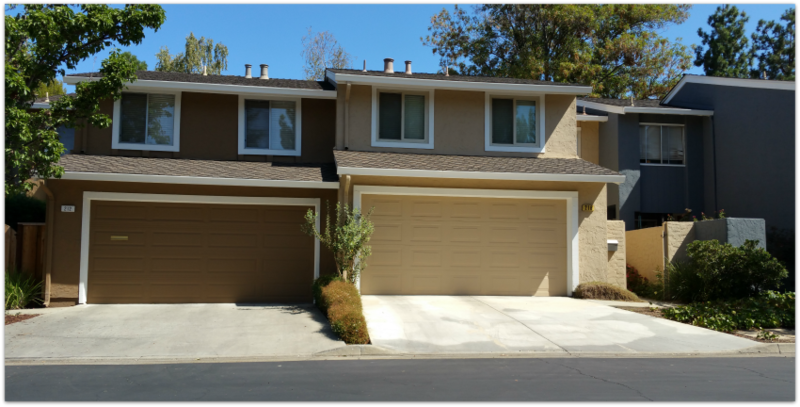 Below please find a a list with photos and descriptions of Arroyo Rinconada homes for sale, pending, or sold in the last 24 months. See all Arroyo Rinconada in Los Gatos, California Real Estate. Basic facts: appx 57 homes, HOA dues as of this writing are in the high 300s (includes roof, painting, private roads, grounds, pool, spa and tennis court). Homes do not come on the market very often, but expect to see prices between $900,000 to $1,200,000 for most if they are remodeled. 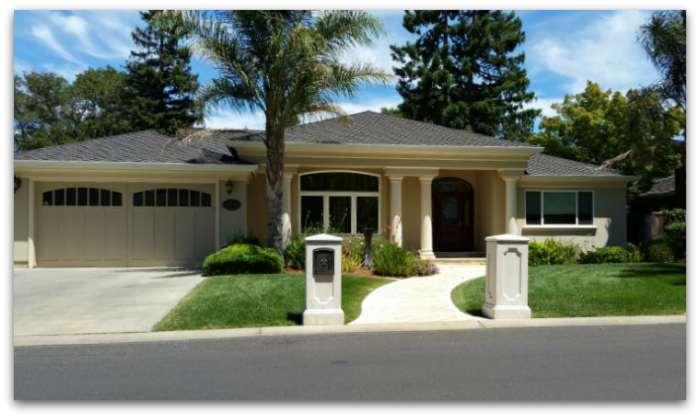 What are the Los Gatos Estates homes like? They were built in 1979. Individual units range in size between 1739-2063 SF, with the average being 1921. Parcels are not big, running from 1739-2063 SF, but there’s a lot of open common space, so it does not feel small or crowded. 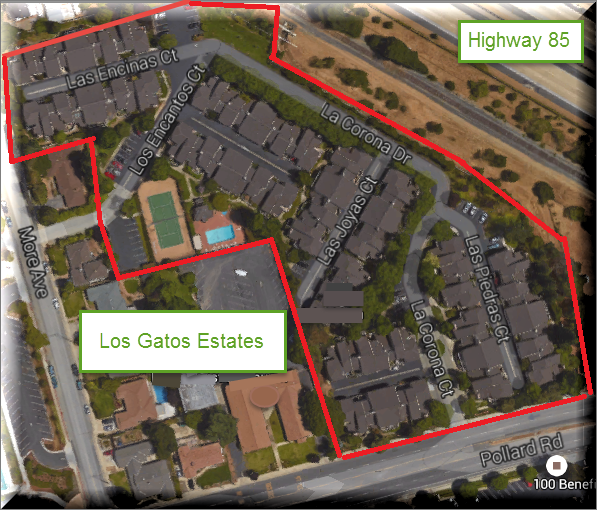 If you value a convenient location, Los Gatos Estates has it! Directly across the street from the entry to the community you’ll find a large, remodeled Safeway and a number of other helpful shops. El Camino Hospital of Los Gatos is only about a mile away. More shopping is found within 2 miles at Westgate and El Paseo de Saratoga. For workers commuting to Cupertino, Sunnyvale, Santa Clara and similar areas, a trip north on Pollard turns into Lawrence Expressway, making the journey pretty straight forward. The highly regarded public schools are very nearby: Rolling Hills Middle School (API 919) is pretty much “next door” but on the other side of More, and Marshall Lane Elementary (API 945) is about a half mile away. Westmont High School (API 796) is within a mile also. The townhomes at Los Gatos Estates enjoy tremendous convenience, but there’s much more to the complex than that. The townhomes are well laid out, with good floor plans, spacious rooms, and often high ceilings. Each one includes an attached 2 car garage and of course a laundry room or closet. In many ways, these townhomes feel more like houses than attached homes. Not only that, but residents get to enjoy a pool, spa, and tennis court, too. Above is one of two gateway signs along Pollard Road, a nice welcome to the community! Below, a typical two story townhome with both a back patio and balcony. One end of this complex is adjacent to highway 85, the train tracks, and the high voltage power lines, which you see in the image, too. Homes closest to the freeway, train and electrical wires will be somewhat price impacted by them, of course, but this creates an opportunity for more affordable housing than you might otherwise find in this neighborhood. If you are looking for good real estate pricing, this may be a great opportunity – lots of home for the money. One of the largest townhome communities in Los Gatos, the Los Gatos Woods community includes 232 townhouses set on private roads near Pollard Road. This is a very attractive neighborhood and includes many trees. This area is considered west Los Gatos and is close to the border with Campbell and Saratoga. 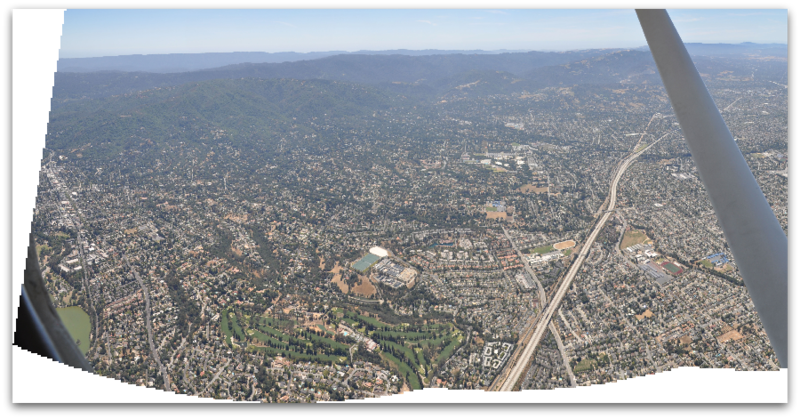 Los Gatos Woods is very convenient for those wishing to commute to Cupertino, Sunnyvale and Santa Clara as Quito Road is nearby and becomes Lawrence Expressway. 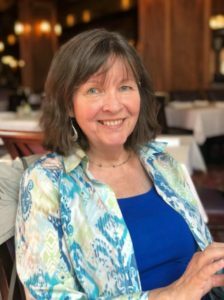 This community is also extremely convenient for those working at El Camino Hospital of Los Gatos or any of the nearby medical centers; it’s probably a half mile on foot or by bike. There’s a good sized, remodeled Safeway and a good number of other shops close by, too, along with the middle school (and the elementary isn’t much further). Most things seem to be within a mile or so. What are the homes like at Los Gatos Woods? 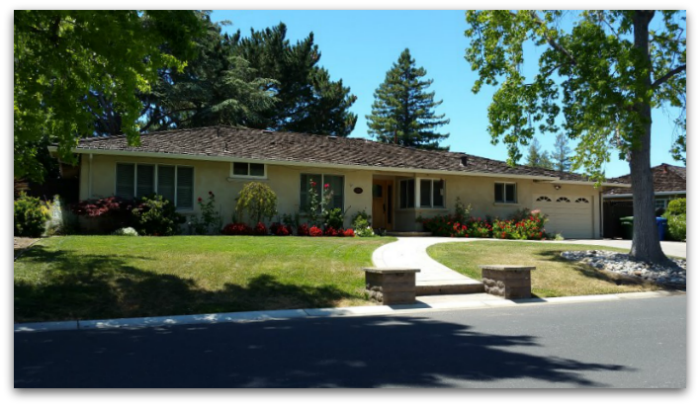 Most of the Los Gatos Woods units were built between 1971 and 1973 and most seem to have been renovated since then with dual pane windows, remodeling inside, etc.. Home sizes range from 997 square feet to 2754 sqare feet, with typical homes being around 1400 – 1700 SF. The lot sizes vary, too, from about 1921 SF to 2639 SF, and the average being 1850 SF. Homes all include some sort of outside space, often both a back patio and a balcony. All have 2 car, attached garages, and many have driveways which are big enough to accommodate a car (though some are a bit short for that). At the northwest corner of Los Gatos you’ll find a really beautiful neighborhood that consists of Old Adobe Road and nearby streets. It’s just off of Quito Road on the border with Saratoga one one side and Monte Sereno on another. This lovely area doesn’t have tightly defined boundaries (at least not as far as I know), but runs roughly between Old Adobe and Quito at the north end to Bicknell at the south and fanning out to beyond Montclair to about More Avenue. It clings to Rinconada Hills along one stretch, too. What are homes like in the Old Adobe area? Today I mapped out the approximate neighborhood using the county records and it appears to have about 250 houses or so. Nearly all were built in the 1960s and 1970s. Most of the homes are between about 2,000 and 3,000 square feet, but about 1/3 of them are larger, a couple even larger than 4,000 SF, but that is sure not typical. Most lots are around a quarter to a half acre, but some are bigger and some smaller. So they are comfortable houses on uncrowded lots in a mature neighborhood. 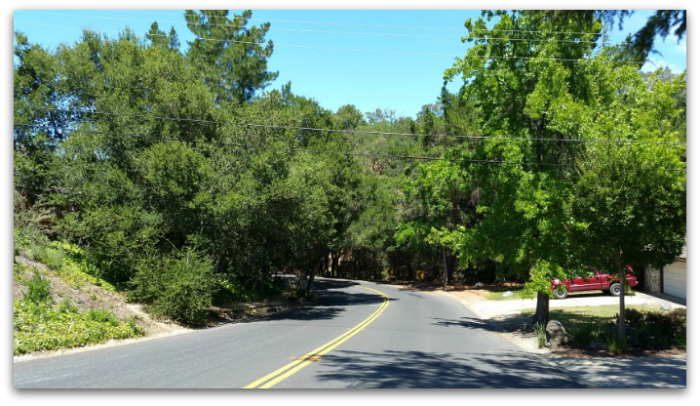 Old Adobe Road in Los Gatos near the Saratoga border – no shortage of trees! Year in and year out, this part of Los Gatos has an ongoing appeal. What’s the draw? Part of it is certainly the trees, the gently winding streets, the rolling hills (and some homes get lovely views), the well kept homes, the good public schools (elemenary and middle school API scores are well past 900), the easy proximity of shopping and the closer in commute to places in Cupertino, Mountain View, Sunnyvale, etc. Compared to east Los Gatos, this is an easier drive since you don’t have to take Hwy 85 past Hwy 17 – where it does really tend to clog. It probably shaves about 20 minutes off the commute compared to the far east end of town. 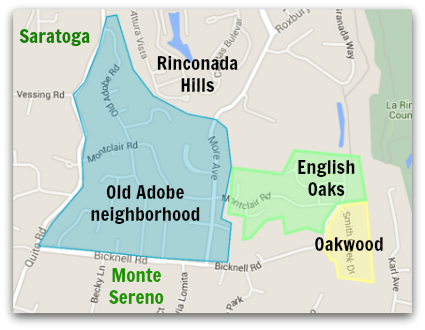 What are the assigned schools for the Old Adobe area? This area is part of the Campbell School District (elementary and middle) and the Campbell Union High School District. Assigned public schools are Marshall Lane Elementary, Rolling Hills Middle, and Westmont High. What about real estate prices? 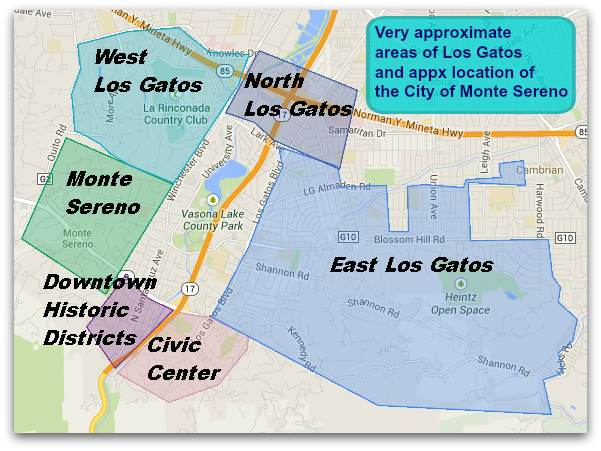 What do homes cost in this part of west Los Gatos? Nothing in the town of Los Gatos is inexpensive. 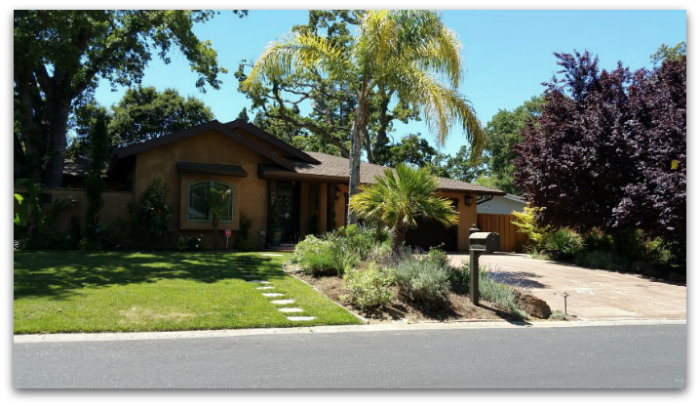 With good schools, nice environment, and a closer in location, you won’t be too surprised that this is a pricey area, albeit less than downtown Los Gatos or areas with “Los Gatos Schools” meaning properties in the Los Gatos Union School District. There are many factors which can influence home values and what a buyer will be willing to pay for a property: home size, lot size, remodeling, being up on a hill with a view vs down in a gulch with little sunlight, and many other things. Over the last year, as of October 2016, homes have been selling in this area for between about $1,499,000 on the low side to about $2,400,000 on the high side. Anywhere in Los Gatos, there will be issues relating to hillside homes and water damage to homes and foundations. Be careful to direct the water away from the house, even if you are in a relatively flat area! For ALL of Los Gatos, Saratoga, Monte Sereno, and Almaden, this is a huge issue. Please also read this article: What To Consider When Buying a Hillside Home in Silicon Valley. See all Los Gatos - Old Adobe Road area. 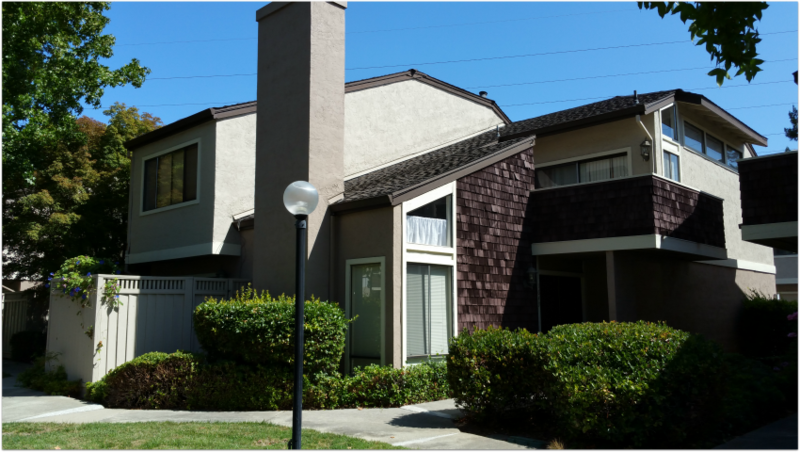 The Wedgewood Manor condomium community represents one of the most affordable areas in Los Gatos. Originally a seniors complex, it was converted to be available for all ages a few years back. There are 108 units, found at the end of Lora Drive in west Los Gatos (close to the Campbell border). Homes range between 786 SF and 1050 SF and offer as many as 2 bedrooms and 2 bathrooms, though many of these abodes are smaller. Prices for homes selling in the last year (as of the October 2016 update to these numbers) have been around the low $500s. The main draw is often the affordability factor, which is huge! The biggest negatives are the proximity to the freeway, train tracks, and high voltage power lines, which all run together. Last Friday, my husband, Jim, enjoyed a flight over much of the south bay area with his brother, John, and our niece, Christine. I’m the lucky winner who gets loads of fantastic photos to share (with abundant gratitude to John Handy!)! Today I’ll begin with a shot over west Los Gatos. Here’s a view from the plane that my wonderful brother-in-law shared with me. Can you tell what you are seeing? The biggest hint I can offer is to point out that the major road running along the right side is Highway 85, and what is off to the upper right hand side is north. La Rinconada Country Club (golf course)? Any of these schools: Rolling Hills Middle, Marshall Lane Elementary, West Valley College? The first 6 I’ve put onto the same image but mapped. Have a look…. Please continue reading for much more information on the neighborhood! North Los Gatos is the area close to but north of Lark Avenue. Did you know that the Town of Los Gatos used to have a public school there? It was sold years ago – that land is now part of the lovely JCC. Downtown Los Gatos usually designated a few areas – those included are the Downtown Historic Districts, the Civic Center, and areas close to North Santa Cruz Avenue between Highway 9 and Blossom Hill Road. As with everything, this is unofficial! Major roads in this part of town are North Santa Cruz Avenue, University Avenue, Main Street, and Los Gatos-Saratoga Road, also known as Highway 9. The Downtown Historic Districts are lovely! There are many other areas without specific names. Real estate agents tend to dub them by local landmarks (such as “Vasona Park area”) or major roads or hill names (“Jones Road area” or “Blackberry Hill” area). Sometimes there’s a small compound that’s not quite big enough to be called a neighborhood, like Creffield Heights in the San Benito (road area) section of town, which we could probably label as “Central Los Gatos” if we wanted to create a new way of describing some areas of town!